Overcoming the naysayers on fundraising can be an overwhelming task. It’s funny how many people who don’t understand fundraising offer an opinion that what you’re doing won’t work or they have a better way to do it. One of the myths you may encounter is that the writing style doesn’t work, that it’s outdated, and there are newer, better ways to write for fundraising. These myths simply aren’t true. Fundraising writing isn’t dependent on the postal mail as a channel, instead, it’s designed for how humans react. If you use many of these techniques in other channels (such as digital, video, television, radio, events), you’ll find them just as effective in direct mail. Today, I’m going to show you how to answer people who raise objections to your fundraising writing style. What do you mean by “sixth grade reading level?” I have a PhD., if you’re writing in my name, you should write at a college-level at the very minimum. How many of you have heard something like this? A demand by someone to write a fundraising appeal at a much higher education level. The fear from the person you’re ghost writing for is that people will think they’re simple or uneducated. The opposite is true: to take a complex topic and explain it in simple terms is an example of intelligence, not a sign of a lack of it. It takes skill to explain what your organization does and the impact a donor makes in words that are simple and clear. When you write at a high grade level, the writing loses it’s clarity and focus. The enemy of clarity is confusion and when a reader is confused, she doesn’t donate. “It’s too simplistic” is a fundraising myth. The more simple your fundraising copy is, the greater the chance the reader understands and converts into a donor. Jonathan loves school. And if you mention cars, his grin becomes infectious as he shares his plans to become a driver and mechanic. However, Jonathan must finish both primary and secondary school to have success in this field… a dream that friends like you are making a reality. You see, Jonathan lives in a community in Rwanda where clean water is hard to find. Friends like you helped provide much-needed water for his village, so Jonathan and his friends can continue their education. The content is simple and focused. It is easy to understand and has a purpose. As you write your copy, keep it simple and clear. The way you write in fundraising is distracting. Why don’t you follow AP Style? Why do you use all of these weird formatting styles in your copy? Do people complain that you use weird styles in your fundraising copy—you know what I mean, like the em dash—or even use an ellipsis for…emphasis? Perhaps you indent your copy? You may just bold something or even underline it to make it stand out. All of these style decisions are on purpose. The styling is designed to move the reader’s eyes down the copy and to emphasize certain points to build the emotional case for giving. The styling isn’t distracting, it’s designed with science in mind to maximize response. 3. It’s Too Emotional – Over the Top! You’re preying on people’s emotions with this fundraising copy! You’re telling stories just to get people emotional and worked up. Why can’t you just educate the donor? If you tell people the stats of the need, they’ll give. When you write your fundraising appeal, you should write in a way that elicits an emotional response. It’s not over the top or too emotional, it’s a story of a beneficiary that was helped because of a donor like the reader. You see facts don’t motivate someone to give. Facts may confirm the decision to give, but they rarely move the reader to make the gift. Large statistics often have the opposite effect. When someone reads that 1 million children in the US will go to bed hungry tonight, it actually doesn’t move the reader to make a donation. The reader thinks, “If there are 1 million children going to bed hungry tonight, what difference will my $50 gift make?” It’s too hard for the donor to see her donation as a solution to such a large problem. But when she reads the story of 11 year old Wendy who goes to bed hungry, she knows she can help Wendy, so she gives. Creating the right emotions in the reader results in a donation. And the donation results in a changed life. Today’s donors don’t like long copy. They want it short and sweet. I mean, look at social media and how short that content is. We should make our fundraising short and to the point. Connect with the reader at an emotional level. Tell a story of how a donor will impact a beneficiary. Explain what your organization will do with the donation. Describe the outcome the donor will achieve. Demonstrate an urgent need that requires a donation and what will happen if you don’t raise the funds. Provide a clear call to action to the reader. You can’t achieve these steps in short form content. Second, someone who believes the myth that fundraising content is too long doesn’t understand how a donor behaves. Most donors don’t read the entire fundraising appeal. She skims the piece. She jumps around. She flips it over the reads to the end. In email, she scrolls quickly and reads only the bold print. She reads one section, then re-reads it for comprehension. Longer repetitive content performs better because people don’t sit down and read the entire fundraising piece. Your fundraising appeal isn’t too long. I read this fundraising story and it talks about starving children. I’m not comfortable reading about starving children. Can we change it to be about ‘hope?’ If we write about ‘hope,’ won’t our donors feel good about what we’re doing and donate more? Fundraising copy isn’t designed to make you comfortable. It’s designed to elicit an emotional response. Anger. Sadness. Compassion. Empathy. Fundraising copy shouldn’t make you comfortable. It should make you want to take action. It has to separate you from your money and that isn’t easy to do. Is your nonprofit solving a problem? If it is, then you need to explain that problem in a compelling way to your donors. If you’re not solving a problem, why do you exist? The problem doesn’t have to be world hunger. For a symphony, you’re solving the problem of a lack of good live classical music. For a library, you’re solving a problem of providing resources for people to learn and grow their imagination. For sports team, you’re helping kids get in shape. You’re always solving a problem. And the donor wants to solve the problem. If you’re making the reader uncomfortable – and you’re telling the truth – then your appeal is likely to move someone to give. There’s always a chance you went too far and you do need to look out for that, but rarely if you’re not sensationalizing or lying about something, you’re going to hit the mark with your donors. Many people don’t understand why nonprofit writing works the way it does and so they offer up an opinion that isn’t grounded in fact. 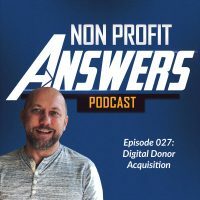 Nonprofit fundraising writing has been tested countless times over the past several decades and many of the techniques traditionally used still work well in different channels. Don’t let the myth that the fundraising writing style won’t work invade your fundraising strategy.